What's Different About Buying a Home in Hawaii? Perhaps on the surface the process seems very similar to buying a home on the mainland. Like many metro areas on the mainland, the Honolulu Board of Realtors uses a multiple listing service also known as an MLS, which the public also has limited access to. Even in Hawaii, Realtors must subscribe to the various rules and regulations of National Association of Realtors regarding standards of conduct. The biggest differences in purchasing here in Hawaii are land tenure, unique terms, customs and practices as well as land use as it affects the environment. This is where having a well informed real estate agent and lender familiar with our local customs and practices is essential. The City and County of Honolulu is the entire island of Oahu. We also have a number of city designations, however these are not incorporated, so they do not have a mayor or separate governing body. A good example of this is the town of Kailua, where property taxes are paid to the City and County of Honolulu. And to make things even more confusing, we also mix and use the neighborhoods and these city designations interchangeably. For example Kailua has a number of neighborhoods such as Lanikai, Kalama, and Beachside. Confused yet? This is just one example why using an experience real estate agent is so important. While most single family properties have converted to fee simple, there are still a few single family homes that are held in leasehold. However in the case of condominiums, many are still held in leasehold. There are several reasons that leasehold was predominate in Hawaii in the early 1950’s, and the following will give you additional information regarding this unique form of home ownership. The basic terms of a leasehold property is that the home owner has a lease on the fee simple land under which the home or condo is situated. A monthly or annual lease rent is paid for the right to have your home on this property. Generally these are 55 year leases with the first 30 years at fixed lease rents, either at intervals or for the entire fixed term of the lease. At the end of the first fixed term (usually 30 years) the lease rent is renegotiated based on the then fair market value of the fee simple land and a rent percentage calculator, say 4%. Recently rent re-negotiations became fairly controversial, as the originally values of the land when the leases were originated were significantly lower compared to values 30 years later. For example it was not uncommon to have renegotiated lease rent in relationship to the original term be as much as 12 times greater. For example if the original lease rent was set at $20 per month, and currently the property is valued at $1,000,000 the new lease rent would be, based on a 4% lease rent calculator, $4000 a year or $330 per month. Furthermore, depending on the whims the lessor at the end of the lease, the entire property is subject to transfer back to the Lessor. If you are contemplating a purchase of a leasehold property, you need to make sure that you read the land lease document thoroughly and understand what the rent increases, and end of lease provisions are. In addition there could be land use covenants that would restrict your use as well as what you could build. Financing can also an issue depending on the terms of the lease..
Hawaii real estate is considered expensive when matched against other localities. Especially in comparison to the Midwest, the Southeast and some parts of the Southwest. Our higher values are driven by scarce availability of build-able land, due to the fact that we're an island. In addition, restrictive zoning and building requirements combined with the high price of construction materials which need to be transported into the islands from somewhere else along with the high cost of labor, all of which contributes to our higher costs for housing. Value of land in relationship to the physical improvements is generally the opposite of what most mainland buyers are familiar with. Two thirds of the value of a property is in the land and one third in the physical improvements. If a home here in Hawaii is approximately the same price as one for example the Bay area, most of that value is in the land. Also, when most buyers from the mainland see the physical improvements or quality of construction here in Hawaii, they are often disappointed. It is not necessary for homes here to be built to the same standards as they are in other areas of the country. Furthermore, because our climate is less inclement, the quality of construction is not as substantial as it would be for a home built to withstand a brutal winter or scorching hot summer. We obviously don’t have those weather extremes, which is why you come to live here. In addition to this, given more moderate temperatures, homes do not have to be as large due to the fact that we do much more of our living outdoors than our friends on the mainland. Property taxes in Honolulu are a lot less when compared to most locales on the mainland, and are based on the assessed tax rate. Here an owner occupied home with an assessed value less than $1,000,000 will have property taxes in the $3800-4000 range per year. This is significantly less than in a lot of major metro areas on the mainland. The flip side of this is while real property tax rates are lower, our home valuations are higher. However in many cases, the tax assessed value of a home is substantially lower than the actual market value or sales price. Tax Map Key is unique identifier in addition to a street address and is used to identify the property for tax purposes, but is also unique to each property. This number is used in purchase contracts to property identify the home and/or piece of land. If you are buying a vacation rental property, several things must be considered. First, many condominiums as well as neighborhoods have minimum rental periods which can be in conflict with the owner’s desire to move to short term vacation rentals. Violation of these rental restrictions, depending on the condominium, can be costly. In addition, violating zoning or land use ordinances can also result in fines among other remedies. All vacation rents are subject to a Hawaii General Excise Tax of 4.72% and a TAT Rental tax of 9.25%. 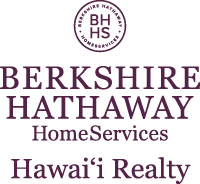 Selecting the right real estate agent is essential in understanding what purchasing a home in Hawaii is like as well as preparing you for your new Hawaiian lifestyle. Contact me at 808.258.3681. I look forward to helping you purchase your piece of paradise!